World Blood Donor day is observed on June 14, every year. The theme this year is Give Blood, Give Now, and Give Often, highlighting the urgent requirement of blood during causalities, emergencies, accidents, and how as humans we can enable and help each other overcome these adverse situations. 57 countries collect 100% of their blood supply from voluntary, unpaid blood donors. In low-income countries, 65% of blood transfusions are given to children under five years of age. In high-income countries, the most frequently transfused patient group is 65 years of age, accounting for up to 76% of all transfusions. Data reported to WHO shows significant increases of voluntary unpaid blood donations in low- and middle-income countries. This World Blood Donor Day, Dr Seema Sinha, Head - Department of Transfusion Medicine, Fortis Hospital, Noida, shares a few facts associated with blood donation. 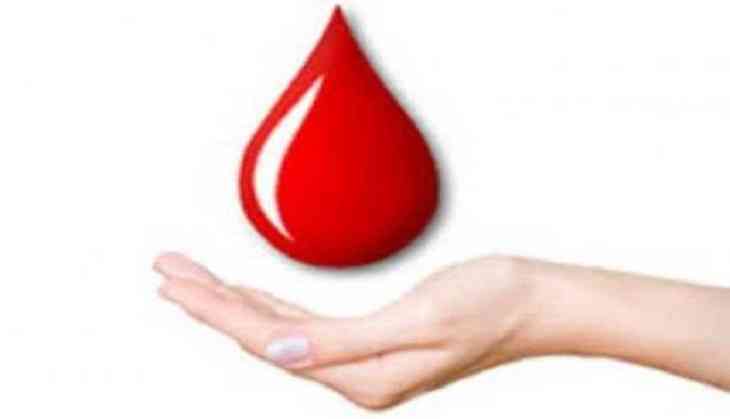 • People between the ages of 18 years to 65 years can donate blood. • The weight of the donor should be more than 45 kg. • The pulse rate must be between 50 to 100/minutes without any irregularities. • Body temperature should be normal and oral temperature should not exceed 37.5 degree Celsius. • A prior medical examination should be performed to screen for disease and medication. • Myth: Blood Donation is an exceedingly painful activity. • Fact: Donating blood is not painful at all. One only feels a slight pinching sensation when the needle pricks the arms. • Myth: You cannot donate blood more than once. • Fact: A healthy person can donate blood four times a year with a minimum a 3 months gap between each blood donation. • Myth: Blood donation induces weakness, headaches and vomiting. Dr Kiran Dalal, Chief Dietician , Fortis Escorts Hospital Faridabad talks about the food to eat before and after donating blood. • Avoid fatty foods for twenty -four hours before you donate blood. • Eat a healthy meal before your donation. • Without iron, your body cannot maintain or produce healthy red blood cells. Therefore eating foods rich in vitamin C that increase absorption from plant sources of iron. • Eating the right foods afterward can help replenish lost iron and vitamin stores. There is lack of awareness about blood donation in India. There was 10 per cent shortage of blood requirement in 2015-16 as opposed to 17 per cent shortage in 2013-2014. An imperative requirement, blood donation needs to take place on a larger scale. People need to be more aware of the steps involved in donating blood and if they are eligible to do so or not. There is an urgent need to replenish this indispensable commodity.